Today in Masonic History we define a Rite. A Rite is an established cermonial, usually religious, act. Rites can fall into three categories, rites of passage, communal rites and rites of personal devotion. Interestingly Freemasonry can fall into all three categories. During the ceremonies of initiation a candidate goes through a rite of passage allowing them become an active member of their lodge. 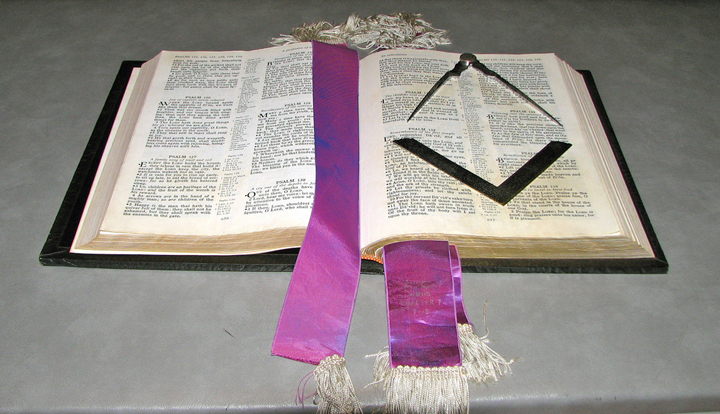 By regularly attending lodge, a Freemason participates in communal rites in the opening and closing ritual work of the lodge. By becoming a Freemason they devote themselves to becoming a better man in their life creating that "house not made with hands, eternal in the heavens." Particularly in the United States when Freemasons hear the term rite they instantly cast their mind to the York Rite and Scottish Rite, two appendent bodies of Freemasonry that offer further education to the Freemason. Prior to the creation of both organizations in the 1800's there was a different York Rite and Scottish Rite. This was a label generally applied to lodges, you belonged to a York Rite Lodge or a Scottish Rite Lodge. The difference had everything to do with lineage. Scottish Rite Lodges descended from Freemasonry that was originally practiced in Scotland. York Rite Lodges descended from Freemasonry that began in York. Sometimes this is referred to as the "York Legend." The York Legend comes from the Regius Poem which outlines how King Athelstan laid down the first governing rules and regulations of Freemasonry when it first came to England. During the early York Rite and Scottish Rite lodges, there was a rivalry between the two groups and in Mexico, it would create the dividing line for the Mexican Civil War. With York lodges on one side and Scottish lodges on the other. In Europe the Scottish Lodges in France were popular with the Jacobites and spawned lodges around Europe including the Swedish Rite. In more recent times whether a lodge is of Scottish descent or York descent has become less important when it comes to recognizing other lodges and other Grand Lodges. Now it is more focused on the landmarks of the Grand Lodge. "Do they adhere to same principles rather than adhere to the same ritual work?" becomes the principal question. Freemasonry is by it's nature is a Rite. Freemasonry is a ritual based society. Understanding the rites of a ritual based society allows you to better understand and better describe to others the ideals and prinicpals inculcated (taught) by the organization.